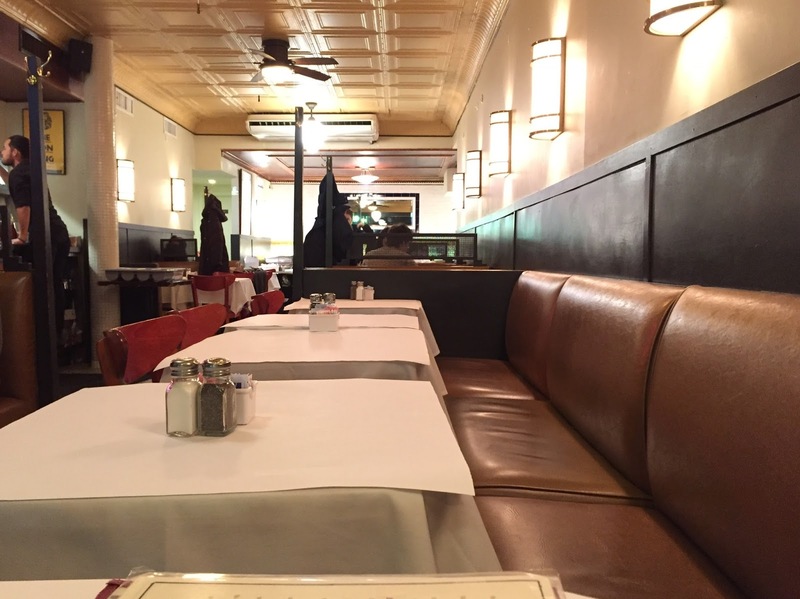 When we're looking for a pre-movie dinner spot, we found Old John's Luncheonette near AMC Loews Lincoln Square 13. It's a diner but looked fancier with white table cloth. There're a lot of items on the menu and the photos below are only a few of them. It's a light soup with carrots, celery, chicken and rice. I wanted some pasta that night, and I got this fresh tomatoes, basil and chicken pasta. Fettuccine was chewy and they're cooked perfectly, not being too soft or gooey. Light tomato sauce had nice garlic flavor and it went well with the plain chicken breast meat. Given that the location and the price, the portion was large and it really made me full. We added sweet potato fries on the side. We chose white bread with yellow American cheese, the classic one. Buttered surface was so crispy and the generous amount of cheese in-between was melted nicely. It's a small sandwich but only 5 dollars. Good service, food tasted good with great portion and not too expensive.